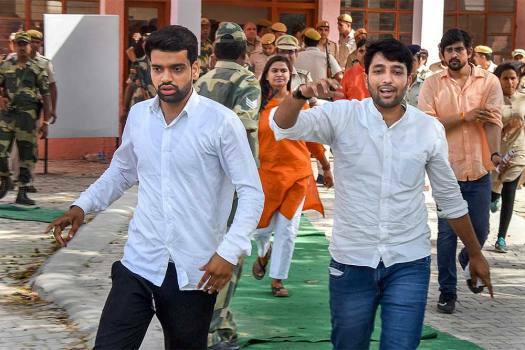 ABVP leaders forcibly come out of a room where the police had detained them following a protest in connection with DUSU elections, at counting station in DU, New Delhi. 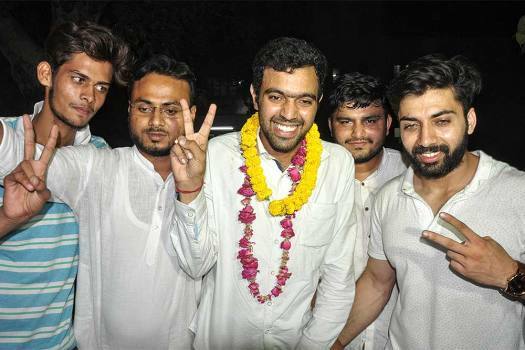 NSUI's Akash Choudhary (C) celebrates with his supporters after DUSU Election Result 2018, he won the post of Secretary, in New Delhi. 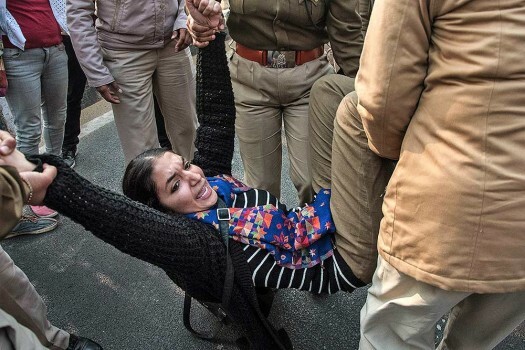 Police detain an All India Students Association (AISA) activist during a protest over Metro fare hike during a protest outside Delhi University Metro Station Gate number 3. 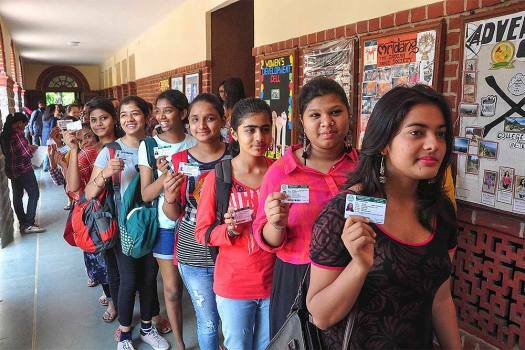 Students queue up to cast their votes for the Delhi University Students' Union Elections (DUSU) at Miranda House college in North Campus of Delhi University, in New Delhi. 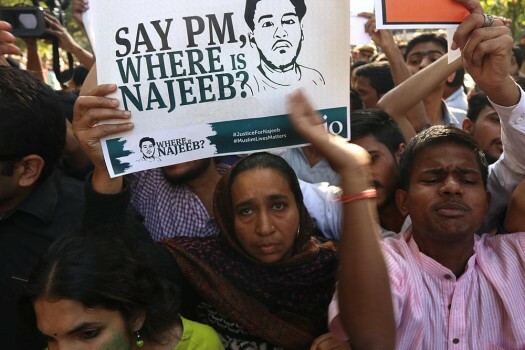 Najeeb’s mother during the Citizen's march from Mandi House to Parliament Street to protest against violence at Ramjas College last week, in New Delhi. 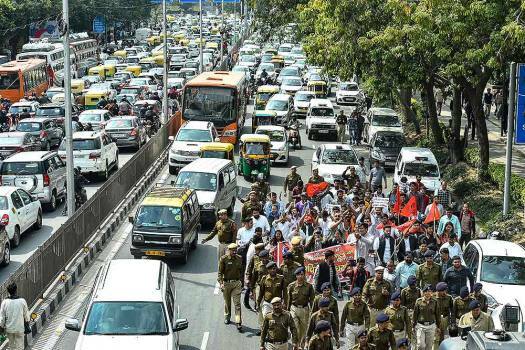 Citizen's march from Mandi House to Parliament Street to protest against violence at Ramjas College last week, in New Delhi. 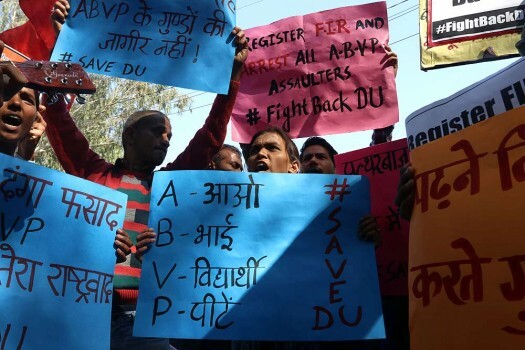 Students of Delhi University, JNU and Jamia during their protest march against ABVP at Delhi University North Campus, in New Delhi on Feb 28, 2017. 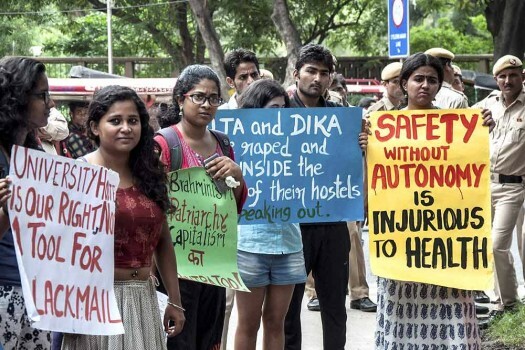 Students and teachers of Delhi University, JNU and Jamia during their protest march against ABVP at North Campus, in New Delhi. 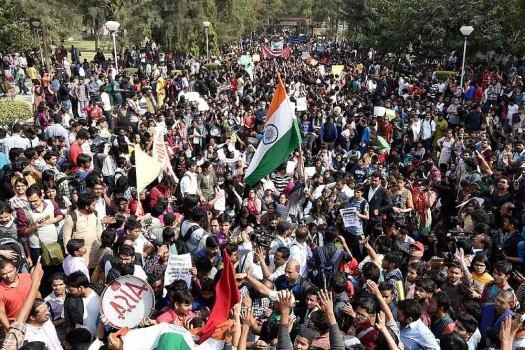 Kanhaiya Kumar, former President of the Jawaharlal Nehru University Students' Union addresses JNU students during their protest march against ABVP at North Campus, in New Delhi. 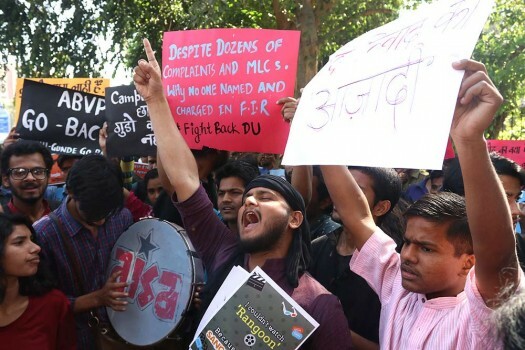 Armed Maoists in April 2016 had killed one Shamnat Baghel at his residence in Nama village under Tongpal police station limits of Sukma district, around 450 km south of Chhattisgarh capital Raipur. 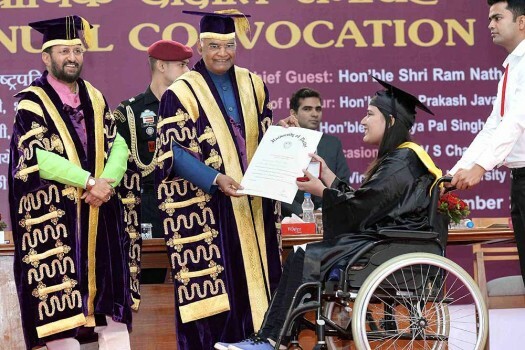 The Delhi High Court on Monday gave DU time till November 20 to verify the authenticity of Baisoya's bachelors degree from a university in Tamil Nadu. 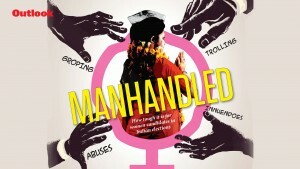 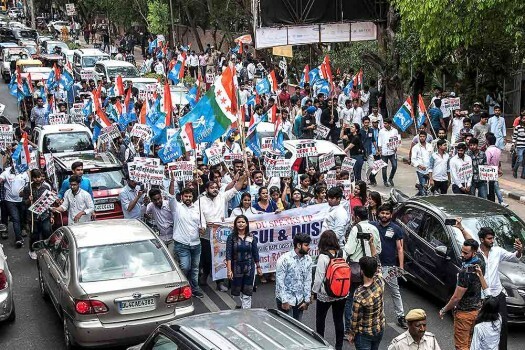 It was found that NSUI National Secretary had allegedly submitted fake MA (English) marksheets. 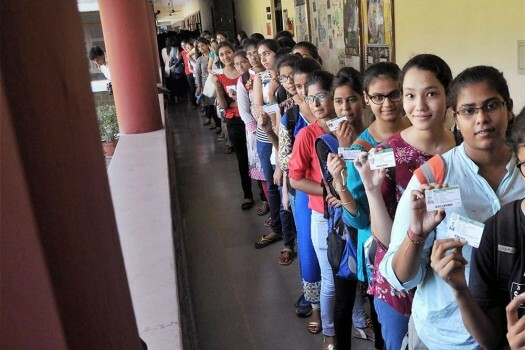 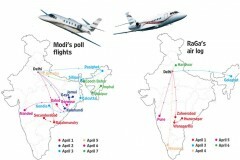 During the counting of votes on September 13, EVMs had developed glitches. 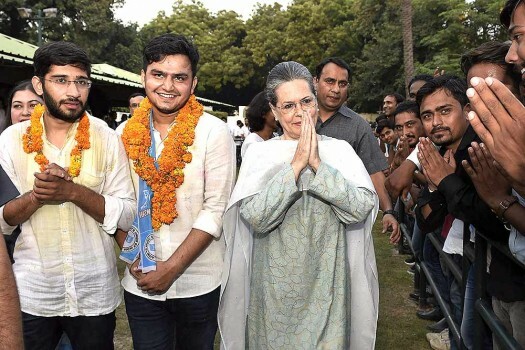 After hours of suspension, the counting was resumed. 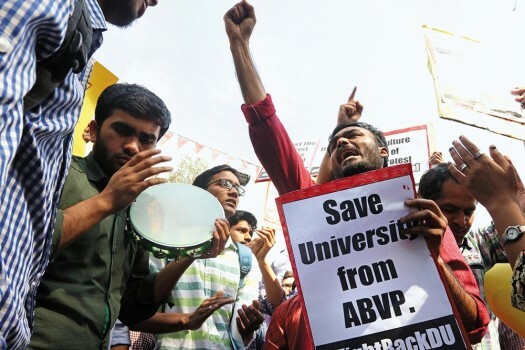 The ABVP, which is affiliated to the Rashtriya Swayamsevak Sangh (RSS), won the post of president, vice president and joint secretary. 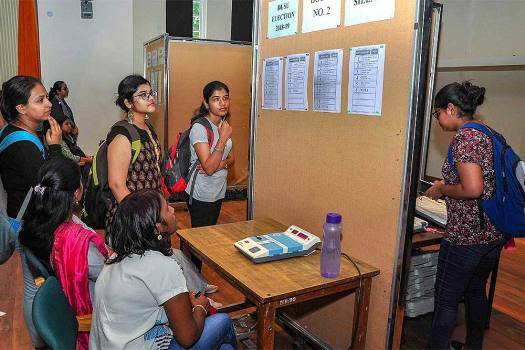 The counting was initially stopped for an hour when there were allegations of faulty EVMs, however, following objections by students the election officials decided to suspend the counting for DUSU elections. 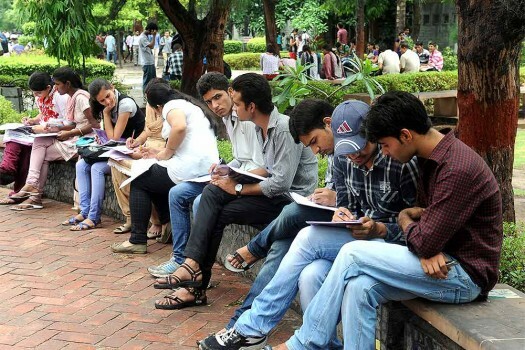 According to the information provided by the university, it earned Rs 2,89,12,310 for revaluation alone between 2015-16 and 2017-18.